We sincerely appreciate you taking the time to view our press kit! Hillside Spirit Revival is an Indie Folk band from Delray Beach, FL. Its members are Hannah Lima (vocals, percussion), Rachel Andes (vocals, guitar, harmonium), Robert Francis Humphreys (vocals, bass, guitar), and Chris Michaud (vocals, guitar). Hillside Spirit Revival began as somewhat of a respite to four distinct singer-songwriters. A personally and professionally challenging 2015 left its members in search of deeper meaning for their careers as musicians—the type of meaning they could have only found through their fortuitous union in February 2016. Founding member Rachel Andes had spent the last 7 years between South Florida and Philadelphia, performing in separate duo acts with fellow members Hannah Lima and Chris Michaud. Meanwhile, Michaud’s previous band with member Robert Humphreys had dissolved after losing its drummer in a tragic accident. The four friends were each desperate for a change, so when Andes was invited to perform at a well-known local venue, her choice for bandmates seemed simple. Building on the foundation of 4 unique voices, the group began drawing from the well of their recent turbulent experiences to pen thoughtful, and emotional odes that served themselves as much as their listeners. 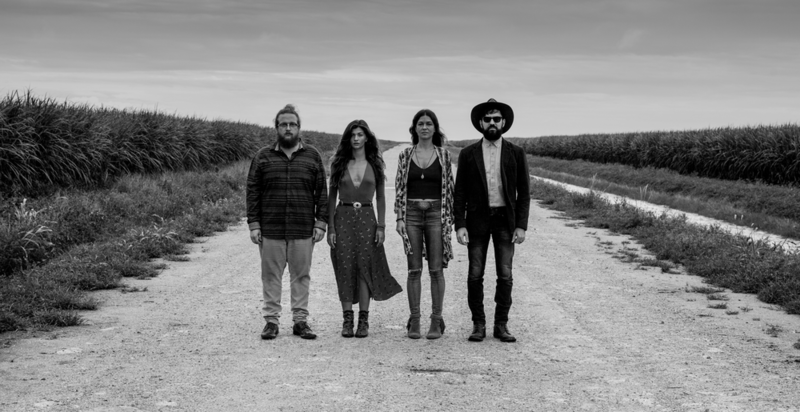 Pairing brave and often poignant lyrics with dynamic and haunting 4-part harmonies, Hillside Spirit Revival has established a live performance of relatable hymns that is captivating audiences across South Florida—including a sold out performance at the release for their self-titled debut EP in June 2017.